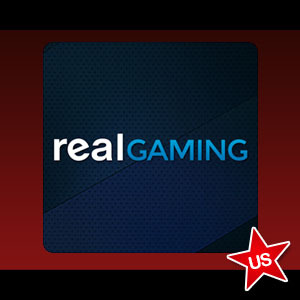 Real Gaming entered the Nevada online poker market with a soft launch in February and the site is operating under a test period that may last six months. The Real Gaming brand is affiliated with South Point Hotel Casino & Spa and many may recall that casino owner Michael Gaughan made a considerable amount of noise back in late 2012 in announcing his desire and expectations to be first to market in Nevada. That never happened, as Ultimate Poker and WSOP.com beat South Point to the punch in April and September of last year, respectively. Industry observers were wondering why South Point suddenly fell behind in the race to be the first online poker site in the nation after Gaughan was quoted extensively as saying that he anticipated being first. After all, South Point rolled out a free-play Internet poker site in 2011 that was the first such social offering in Nevada. It appeared that South Point had an edge on the competition and merely needed to transition its free-play format to real-money wagering. But that turned out to not be the case, the reason being that Real Gaming took the time to develop its real-money online poker software with an eye toward the future. The Real Gaming application is web-based and is operational on all available platforms such as Mac, PC, Linux, iPads and iPhones. No download is needed and registered players can play on any desktop and mobile device as long as they are within Nevada. The additional time required to build software from the ground up that aims to satisfy the needs of all mobile online poker players pushed back the launch. The Nevada Gaming Control Board continues to monitor the Real Gaming platform. Once the test period concludes and state regulators give the green light for a hard launch, a marketing campaign that includes cross-promotions with South Point will likely commence, the Las Vegas Review-Journal reported. Though Real Gaming is now quite far behind UP and WSOP in establishing an online customer base, there are reasons for optimism. In coming months following the end of the soft launch test period, Real Gaming may be able to capture a considerable amount of the mobile market since their product has been designed to accommodate any and all such users. Also, the newly-formed interstate compact with Delaware should take hold in a few months and open up the market to new players. With additional states likely to enact legislation and join the Nevada-Delaware player pool down the road, it may turn out that being first to market was not such an advantage after all.